The manga adaptation of the bestselling anime and light novel phenomenon! Yuuki Asuna was a top student who spent her days at cram school and preparing for her high school entrance exams - but that was before she borrowed her brother's virtual reality game system and wound up trapped in Sword Art Online with ten thousand other frightened players. As time passes, Asuna fears what will become of her life outside the fantasy realm. Unwilling to wait on the sidelines for more experienced gamers to beat the game, Asuna employs her study habits to learn the mechanics of game and swordplay. Her swiftness impresses Kirito, a pro gamer who invites Asuna to join the best players on the front lines. 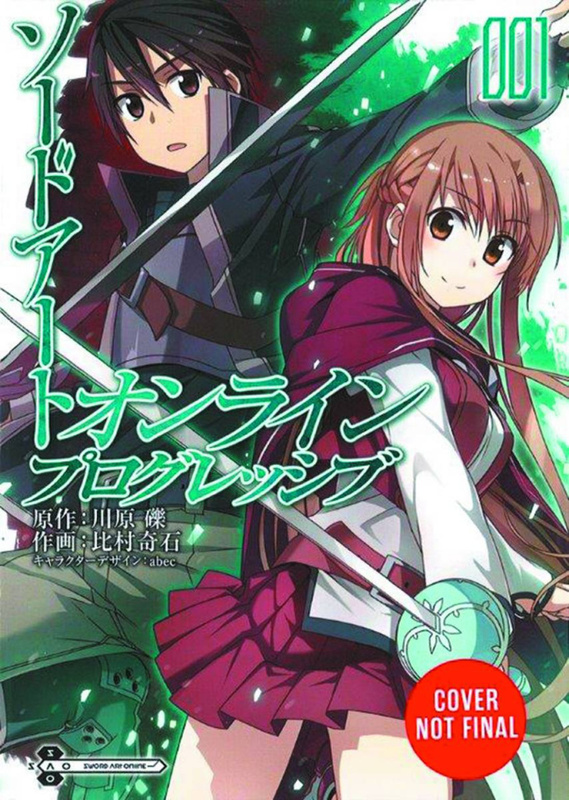 Is Asuna ready to swap class rankings for player rankings and join Kirito?